Although they lead the all time series with the New Orleans Saints 15-10, recent history shows that New Orleans has been anything but The Big Easy to the Dallas Cowboys. The Saints have taken 7 of the last 8 meetings with Dallas, including last December's 34-31 overtime shootout. The outlier, however, was a victory that Cowboys fans have still not forgotten, one that was a rare dent on the Saints' Super Bowl season. To kick off Week 15 of the 2009 season, fans were treated to the NFL's two remaining undefeated teams playing on NFL Network before Sunday. On Thursday, the Indianapolis Colts kept their streak alive, defeating the Jacksonville Jaguars in 35-31 thriller (yes, the Jaguars were actually contenders at one point!) and the Saints were scheduled to take on the Cowboys on Saturday night, December 19. Many experts had given the game to the Saints, and few could blame them. Dallas was coming off brutal back to back losses, further exaggerating the legend that they were unable to win in December. Following a painful 31-24 loss to the divisional rival New York Giants, the Cowboys fell at home to the San Diego Chargers 20-17. They were barely holding to a playoff spot, and things only looked bleak going into New Orleans, especially at the Superdome. Now the Saints had been challenged before the Dallas game, but no one figured Dallas would be the one to help the 1972 Miami Dolphins breathe easier. They came in boasting offensive weapons like QB Drew Brees, RB Reggie Bush, WR Marques Colston, and plenty of other names to give teams nightmares. They were coming a 26-23 win over rival Atlanta, which required a game winning field goal by K Garrett Hartley. 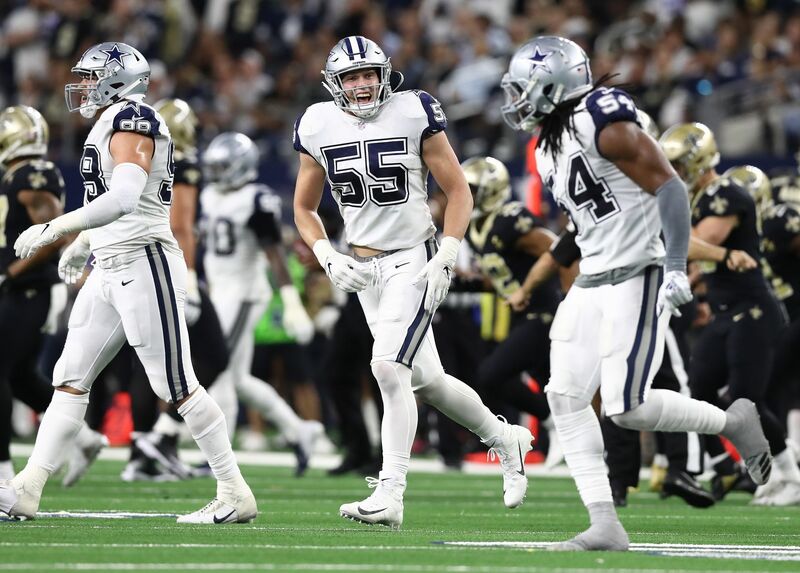 By kickoff, the 13-0 Saints were 7.5 favorites over the 8-5 Cowboys, who did receive good news when it was revealed DeMarcus Ware, who was carted off the field late in the San Diego game, was ready to play. The game got off to a shocking start...the Saints high powered offense got the ball first but went three and out. Starting at their own 21, Tony Romo got the Cowboys to midfield, where he found Miles Austin on a 50 yard strike to put Dallas up 7-0. Many expected a quick New Orleans retaliation, but the Saints again went three and out...the first time they had started a game with back to back three and outs. After Patrick Crayton returned a Thomas Morestead punt 28 yards to the Dallas 40, Romo engineered another scoring drive, getting the Cowboys into the red zone on a 26 yard strike to the Saints 15. Three plays later, RB Marion Barber, ripped all week for not scoring during the Charger game, punched it in from 3 yards out, his first touchdown in seven weeks. Though the Cowboys were up 14-0 after the 1st quarter, the raucous Saints crowd was not panicking. Carolina had jumped out to a 14-0 lead after one on New Orleans six weeks ago, and the Saints ended up winning that one 30-20. The Cowboys did give up a 34 yard Hartley field goal in the second, but negated that with a 44 yarder by K Nick Folk. Folk's field goal was set up by Ware's strip and sack of Brees, whose fumble put Dallas on the New Orleans 24. The Cowboys were up 17-3 at the half, and talks of an upset began to circulate. On their first 2nd half possession, the Cowboys scored on a 13 play, 74 yard drive that lasted exactly seven minutes. Barber scored his 2nd touchdown of the day, and the Cowboys had a 24-3 lead after three. However, Brees and the Saints offense finally started to wake up. Brees engineered a 9 play, 80 yard drive that made it a 24-10 game, with RB Mike Bell punching in the score from one yard out. Roy Williams's drop led the Cowboys to another punt, and Brees again took the Saints on a scoring drive, this one going 70 yards in 7 plays. Brees threw the score himself this time, a 7 yard pass to WR Lance Moore that sent the Superdome in a frenzy. The Cowboys got the ball back after a Morestead touchback and quickly faced 3rd and 7. 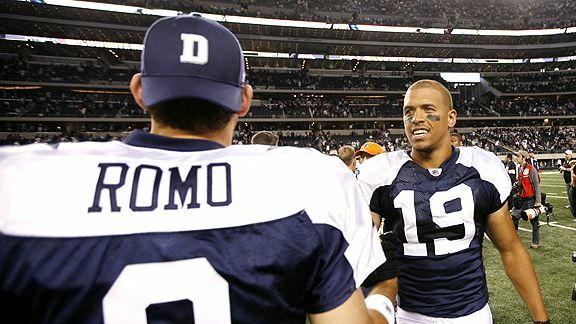 Romo found Miles Austin for a 32 yard gain that put Dallas back into New Orleans territory. 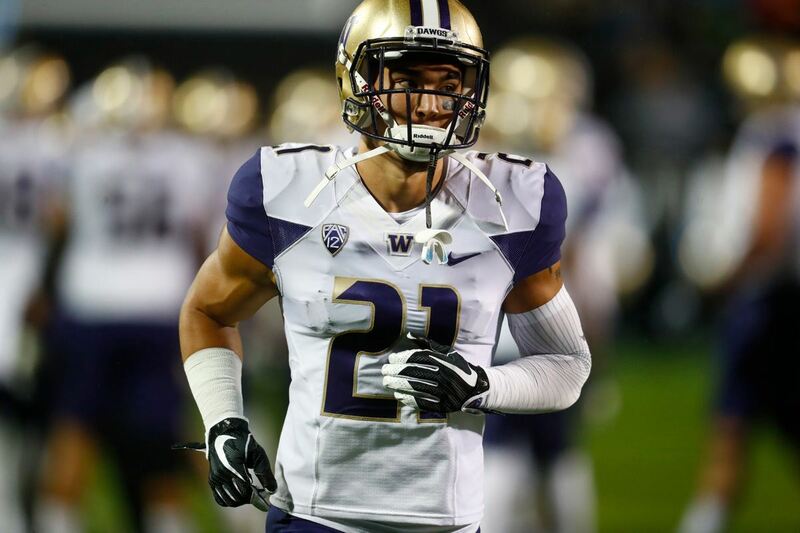 They went even deeper on the very next play, a 23 yard hookup with TE John Phillips. Not only was Dallas moving the ball, but they were taking time off the clock as well, forcing New Orleans to start calling their timeouts. Eventually the Saints, after using all their timeouts, forced the Cowboys into a field goal, sending Folk and the rest of the unit out. Folk had not had a good warm up session in the Superdome, and NFL Network was kind enough to play a clip of it before he lined up for a 24 yarder. Folk's attempt clanged off the right upright, and New Orleans got the ball back. It was the 2nd time in 3 weeks that Saints fans had seemed a situation like this play out, as Shaun Suisham's miss from 23 yards gave the Saints the opportunity to pull off a comeback win against Washington. As for Folk, it ended up being his final kick as a member of the Cowboys. He was let go two days later. Given new life with 2:16 to go, Brees tried to keep the undefeated streak alive. On 4th and 10, he found Colston for a 14 yard gain. Brees eventually worked his way to the Dallas 42, where the Saints faced 2nd and 10 with 12 seconds to go. Brees dropped back and searched for an open receiver downfield....but the ball never made it there. Out of nowhere came...well, Ware. 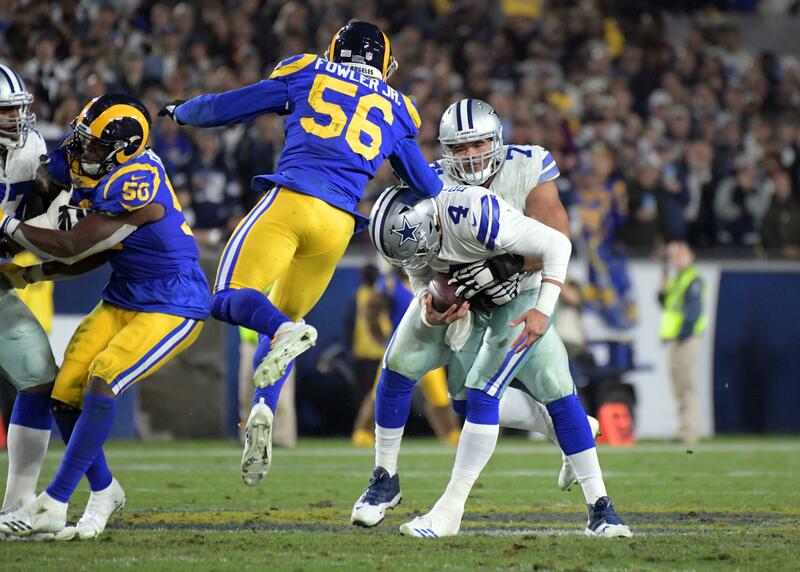 The then-linebacker sacked and stripped Brees for a second time, and the ball was recovered by Jay Ratliff, sealing a 24-17 win for the Cowboys. Romo finished the game 22-34 for 312 yards and a touchdown, with his favorite receiver being Austin who nabbed 7 catches for 139 yards and a TD. Brees, despite his turnovers, finished 29-45 for 298 yards, a touchdown and an interception to Mike Jenkins. The momentum was huge for the Cowboys. After defeating high powered New Orleans offense, the defense posted back to back shutouts of Washington and Philadelphia en route to the NFC East division title. Even sweeter, they picked up their first playoff win in over a decade, defeating those same Eagles in the NFC Wild Card round. Sadly, a rematch with the Saints was not to be as the Cowboys fell to the Minnesota Vikings in the Divisional round. New Orleans, meanwhile, went on to win their first ever Super Bowl title over the Colts that February.